Thanks for compiling that info! I so agree with everything that you said. Even when Pat was wrapping up her career and losing some games that we were not properly prepared for it was Warlick taking over duties back then because of Pat's illness. This is what the knowledgeable Lady Vol fans have seen from the start. Everyone was critical of us, but you can now see we were spot on. I don't think she will ever step down, because I doubt that any major university would ever give her an interview.. Thank you for showing the results over this reign of terror the last 6 years. All those statements reek of moral victories. Hate to see a coach already give an excuse for a game that hasn't even been played. Be assured that if the coach doesn't think they are going to win, then the girls don't either. She would have a nice retirement if she decided to take advantage of it. I'll apologize in advance...I'm all in and fan of Lady Vols and everything, but I kinda feel like what should be like "ESPN Car Wash" day for #1 ranked men's basketball team with wall to wall topics on Men's BB, but LV's stepped in and took over. “We’re not supposed to beat Notre Dame (Thurs), but that doesn’t mean we’re not going to prepare and fight and put our kids in the best opportunity to win." No better evidence than this that Holly needs to go. The Tennessee Lady Vol basketball team should be expected to win every game. They shouldn't be looking up to anyone and they damn sure don't fall out of the top 25 and have to fight to stay out of the bottom of the SEC. This is beyond ridiculous and disheartening and it's way beyond time for change. This is a blueblood program of women's bball and this woman has no right to run it further into the ground than she already has. Is Holly related to Botch? Bumper sticker crap is all you're gonna get from Holly. And what does it all mean, absolutely nothing substantive that can be of use on the court and in competition. I bet she's this soft in practices as well, which is why the team gets so overwhelmed, even by cupcake teams. She does no adjusting, no advantageous sideline coaching. She must have been zoning out big time during Summitt's entire tenure, I don't see anything she learned and how can you not learn a thing from the legend!? I can't imagine Pat being one bit happy with 5 straight losses. Heads would roll! If Phil can't bring himself to do what obviously needs to be done for the best interests of the program, perhaps a new A.D. should be considered as well. 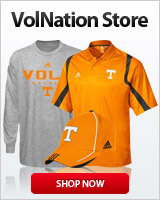 "Most Viewed" on Home Page----4 threads on Lady Vols / 3 on Football / 1 on Football recruiting....kinda sad. Can't wait to see Men whup Vandy tomorrow night !!! It has never happened before. Pat fixed the problem before it had the opportunity to become a statistic. You Sir, are exactly correct, but now we have a problem, and we have to fix it.........eventually. This woman being hired is like Replacing a legend with someone who gives out towels to the girls when they take a shower. The only way Pat went along with it, she was sick and holly got in her ear. Fulmer should have his large azz kicked for his lack of concern. This has really gotten ugly. the very fact that holly doesn't step down is evidence she does not really care about the team. She is a much bigger loser than any coach Tennessee's ever had.